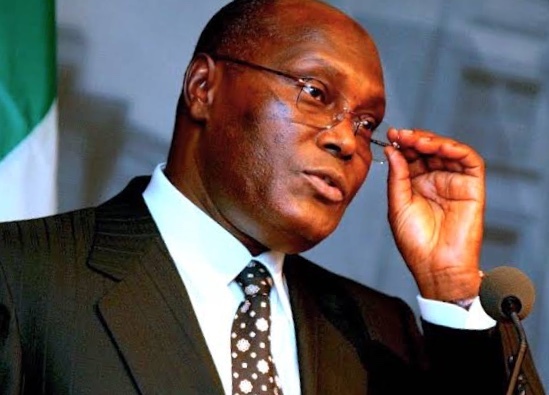 A legal practitioner and human rights activist, Dr. Kayode Ajulo, has added a new twist to the controversy surrounding the citizenship of the presidential candidate of the Peoples Democratic Party (PDP), Alhaji Atiku Abubakar, in the last general elections. Ajulo, who is secretary of a pro-Muhammadu Buhari movement, Forward with Buhari, expressed these feelings in a statement in Abuja on Sunday. He said: “I have to refrain myself from saying anything that may prejudice the case before the court. I am, however, taken aback by the PDP and Atiku’s personal attacks on the APC counsel, Prince Lateef Fagbemi, SAN. These attacks to me are uncharitable as the learned silk and every lawyer in his team are just doing their job as counsels whereas whatever is said and done is ultimately for the tribunal’s determination. “I make bold to say that if there should be any blame on the issue, the PDP and former President Jonathan are to be blamed. I recall that while the PDP was in full power and glory, a Constitutional Amendment Bill to address the grey area of being a citizen by birth as one of the conditions to run for the office of the President was passed to accommodate those from former Saudauna Province/Northern Cameroun among other proposed amendments. “The implication of such a monumental slip and another failed project by the PDP and former President Goodluck Jonathan is today being faced by the party and its presidential candidate in the 2019 election. “While the matter has its day in court, it is perplexing and utterly unacceptable to pass the blame buck on the APC and its counsel, going about the ordinary business of defending its mandate.